Looking to promote the teaching of basic computer science in schools, the state government today said that all schools in Kerala, both government and aided, will soon be equipped with electronics and Raspberry Pi kits. Speaking at the inauguration of an ‘Electronics@School’ project, initiated by the state IT Department, Chief Minister Oommen Chandy said that 6,000 government schools would be given electronics kits to support and nurture a “maker- culture” among their students. “Besides providing Raspberry Pi kits to 10,000 students selected on merit basis, steps will be taken to provide every government and aided school with a Raspberry Pi kit for common coding practice,” Chandy said. He also launched the distribution of electronic kits under the Electronics@School project and gave away prizes to winners of a coding competition held as part of the first phase of the ‘Learn to Code’ project. These projects are being implemented jointly by the Kerala Start-Up Mission and IT@School. 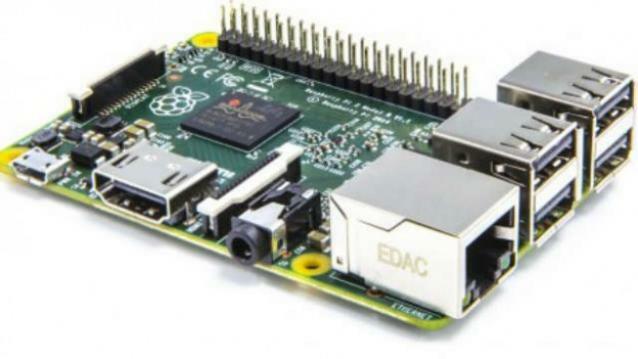 Minister for IT and Industries, PK Kunhalikutty, launched the second phase of ‘Learn to Code’ project and flagged off the distribution of Raspberry Pi kits to 7,500 schoolchildren. The minister suggested it would be appropriate for the Department of General Education to take up these projects for their better implementation. “The projects aim to skill Kerala’s schoolchildren to cope with the future revolution in technology and entrepreneurship,” Kunhalikutty said. Education Minister PK Abdu Rabb said both the ‘Learn to Code’ and ‘Electronics@School’ projects would be made part of the curriculum. “The electronics kit, which is aligned with the Physics syllabus of classes 9 and 10, has been reviewed and approved by the curriculum committee,” he said. “The project’s aim is to add 40,000 talented youngsters from schools to the vibrant maker community being developed through community participation programmes initiated by the Kerala Startup Mission,” said PH Kurien, Principal Secretary, Department of IT and Industries. Prizes for district-level winners were, meanwhile, handed out at Saturday’s function. IT@School Wayanad District Coordinator VJ Thomas was acknowledged for facilitating and guiding the maximum number of projects. In the pilot phase, which was launched by Chandy in February, 2,500 selected students of class eight across all district centres were given Raspberry Pi kits and trained in programming by IT experts. The Raspberry Pi is a computer developed by an UK-based firm for aiding the teaching of basic computer science in schools.